The Columbia Pacific Food Bank will receive $1.5 million from Business Oregon that will allow the nonprofit to renovate and remodel a 12,500-square-foot facility the food bank purchased earlier this year. Casey Wheeler, executive director for the food bank, spoke at a St. Helens City Council work session Wednesday, Oct. 3, to announce that grant award notification. Wheeler said he was notified by St. Helens Associate Planner Jenny Dimsho about the award notification last week while he was visiting family in New York. The news left him "extremely elated," he said, adding it has also been welcome news to the food bank's board of directors. 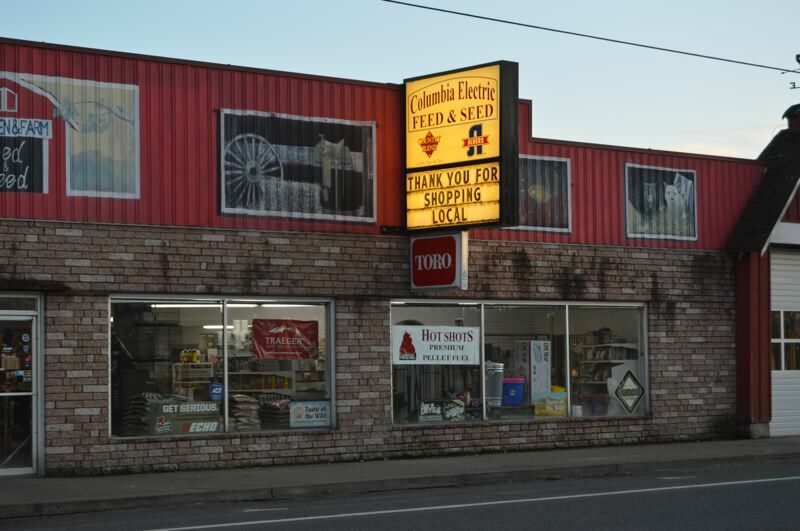 In June, the food bank closed on a sale agreement to purchase the former Columbia Electric Feed and Seed store on Columbia Boulevard in St. Helens for $350,000. When the process first began in January, Wheeler and the board of directors had been planning to purchase a new facility for many years to expand the footprint of the food bank. Estimated renovation costs of the food bank's new facility are $1.75 million, Wheeler explained, adding that the food bank plans do a series of fundraisers to collect the $250,000 difference. Ideally, Wheeler said he hopes to fundraise more as a contingency for construction costs. The grant funding will cover a lion's share of the project cost, however. "That's the bulk of the money needed for renovation," Wheeler said. The food bank currently owns the 2,500-square-foot property they operate on Milton Way. Plans for the new facility, which will be five times as large as the current facility, include more storage, a kitchen which can be used to teach classes, and space for clients to sample different fresh food offerings. "It's really going to allow us to move forward," Wheeler said. "It benefits not just St. Helens, but we can do so much through the county with our distribution, too." Wheeler applied for the grant funding earlier this year and asked the city of St. Helens to be the government agency partner, as required by Business Oregon to qualify for the grant. With that arrangement, the money for the grant will come to the city and then be distributed to the food bank to be used for the planned improvements. "The city has been fantastic to work with and positive about this from the get-go," Wheeler added. The food bank serves an estimated 7,000 people each month in Columbia County.